Frankensteinia: The Frankenstein Blog: Announcing Monsterpalooza Magazine! 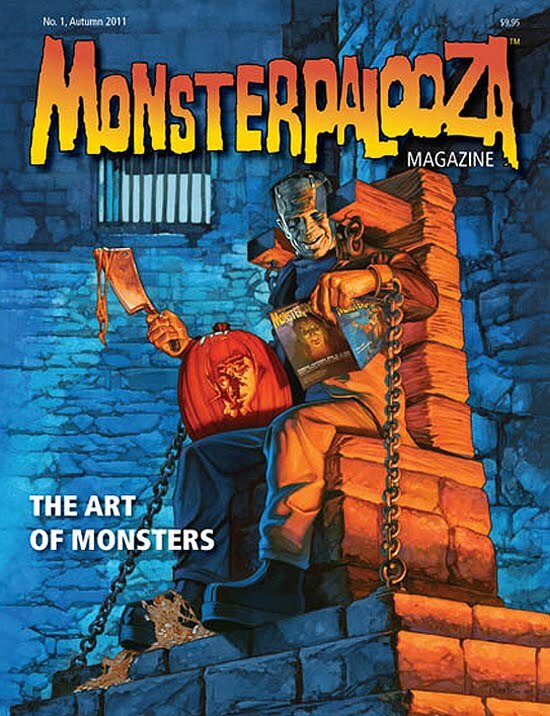 The Monster enjoys a little downtime in the dungeon, catching up on his pumpkin carving and getting a first look at Monsterpalooza Magazine, heading our way just in time for Halloween. The fabulous art is by Jeff Preston. Otherwise independent, the new magazine shares its name and its love of monsters with Eliot Brodsky’s super convention held every spring in California. 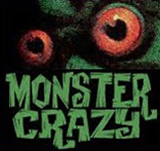 Monsterpalooza, the magazine, will be published and edited by Mark Redfield and Michael Heisler. The debut issue can be pre-ordered now through the Monsterpalooza Magazine website, launched today. Check the site for a list of eye-popping contents and contributor profiles. I’m delighted to report that I’ll be doing a piece celebrating the 80th Anniversary of Universal’s Frankenstein! Monsterpalooza Magazine website and Facebook page. I'm very much looking forward to picking up this new magazine! It looks great! 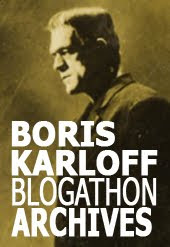 And I can't wait to read your contribution on Frankenstein!